In the far-away, cold Iceland, there are many hot springs. 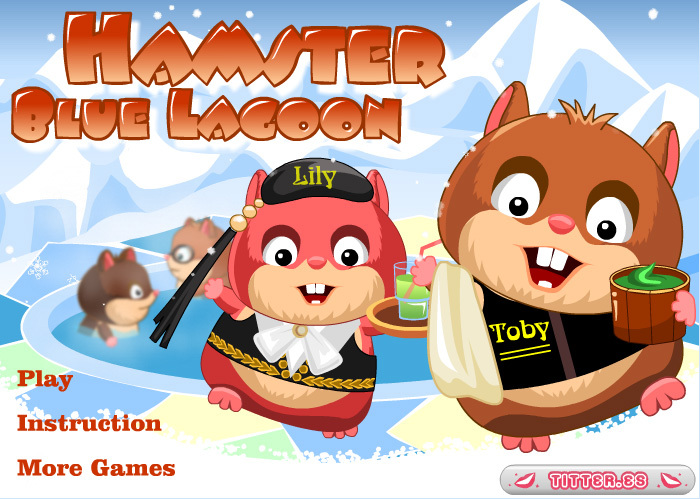 Our hamsters Toby and Lily have started their own Blue Lagoon. The Icelandic hamsters can have a bath and meanwhile enjoy an ice-cold Blue Lagoon cocktail. This is a ice-cold, non-alcoholic drink and the hamsters love it!